Only if the temperature is 45 degrees Fahrenheit or below. Only for 15 minutes each time the button is pushed. All platform heaters now have decals on them with information about how and when they can be turned on. 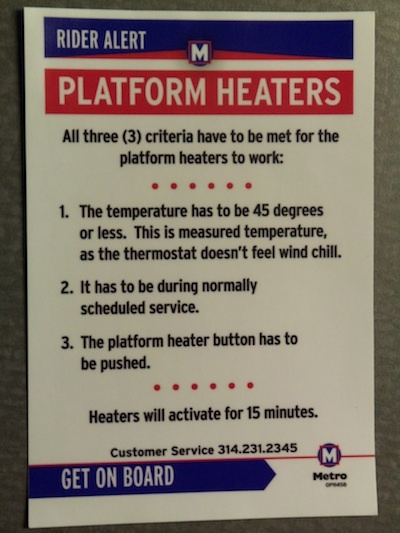 All platform heaters are now outfitted with decals explaining how the heaters operate. It may be getting cooler, but Cardinals baseball is really heating up. Stay warm out there, Cardinals Nation!